Portland, OR—Consumers Union, the policy arm of Consumer Reports, Food & Water Watch, and the Center for Food Safety are urging the National Organic Standards Board (NOSB) to discontinue the use of antibiotics in organic apple and pear production, citing the potential undermining of the integrity of the organic label and threats to public health and consumer expectations. The NOSB—which meets in Portland, Oregon, this week—will vote on a petition to extend the use of oxytetracyline beyond the existing expiration date of October 21, 2014. When asked whether antibiotics are used to treat disease in apple and pear trees, two-thirds (68 percent) of people said they don’t know, 17 percent said they don’t think they are, and 15 percent said that antibiotics are used. When told that apple and pear trees can be sprayed with antibiotics to treat disease and then asked whether fruit from these trees should be allowed to have an “organic” label, more than half–54 percent–said they don’t think they should be labeled as organic. Only 11 percent of thought they should be labeled as organic, and slightly more than one-third (35 percent) answered that they don’t know if they should be labeled organic. Some organic apple and pear producers use oxytetracycline and another antibiotic, streptomycin, to manage a disease called fire blight. Antibiotics are not allowed in other types of organic food, including production of organic livestock. The groups submitted over 35,000 public comments to the NOSB in advance of their meeting, raising concerns about consumer expectations and the mounting evidence that the public health threat posed by antibiotic resistant bacteria make it critical that all uses of antibiotics in food production be minimized. The use of antibiotics is allowed for organic apple and pear production through a petition process to the NOSB, which has already extended the deadlines for this loophole to close several times since the organic label was implemented in 2002. Despite these extensions, there has been limited help for apple and pear growers to find alternative treatments for fire blight, although some alternatives do exist. 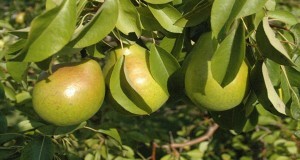 For example, U.S. farmers do not apply antibiotics to the organic apples and pears they sell to Europe, where the use of antibiotics is not allowed. The groups urge the USDA to work with the organic apple and pear industry to incentivize viable alternatives for producers and uphold the integrity of the organic label by rejecting the petition to extend the expiration date for oxytetracycline. *The Consumer Reports National Research Center conducted an online survey via Google Consumer Surveys. For each question, 910 interviews were completed among adult Internet users. Interviewing took place over March 29-April 3, 2013. Consumer Reports® is an expert, independent nonprofit organization whose mission is to work for a fair, just, and safe marketplace for all consumers and to empower consumers to protect themselves. We accept no advertising and pay for all the products we test. We are not beholden to any commercial interest. Our income is derived from the sale of Consumer Reports®, ConsumerReports.org® and our other publications and information products, services, fees, and noncommercial contributions and grants. Our Ratings and reports are intended solely for the use of our readers. Neither the Ratings nor the reports may be used in advertising or for any other commercial purpose without our permission. Consumer Reports will take all steps open to it to prevent commercial use of its materials, its name, or the name of Consumer Reports®.